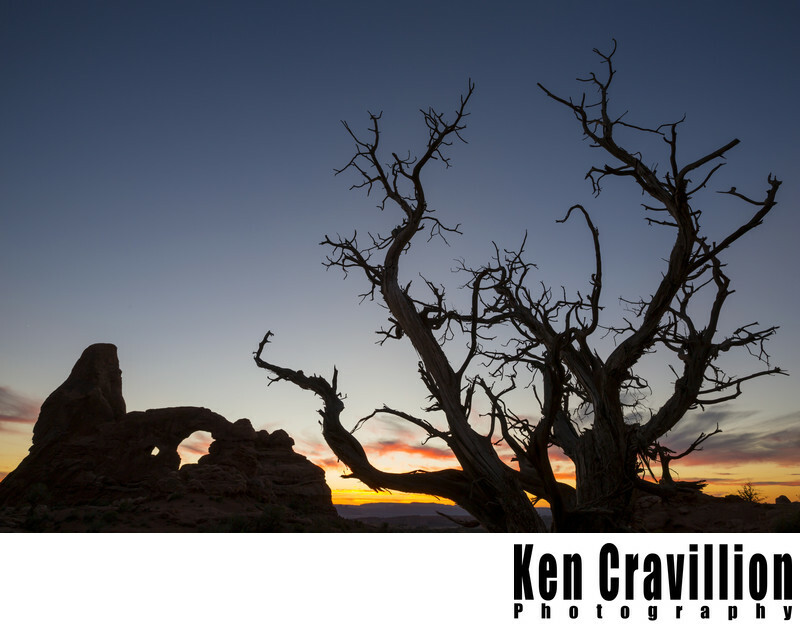 Turret Arch at sunset in Arches National Park in eastern Utah. For this image I got low and photographed with a wide lens to frame the arch with the tree. 0.3; f/11.0; ISO 100; 17.0 mm.